"In the distance sat the source of the dismal portrait—a refugee camp that she would soon be a regretting member of, along with her mother and brother. For whatever reason, her father wasn’t there with them. She had given up asking her mother why a long time ago." Sathryn Bassira lives in the wealthy region of Pomek, one of the six regions controlled by the Dragon Kings, five ruthless brothers who show no mercy to those who oppose them. It isn’t until her father disappears one night that she realizes she has been sheltered from reality her entire life. After weeks of waiting for her father, Sathryn and her family must flee Pomek without him. They escape to Deadland, a poverty-stricken region for those hiding from the kings. Sickness and famine lurk the streets and alleyways, and their new home is infested with dangerous, inhuman creatures. Everything seems bleak until Sathryn meets Julian Ajasek, a young rebel with a treacherous mission: kill the Dragon Kings. After a brutal attack separates her from her family, she decides to accompany Julian on his journey. 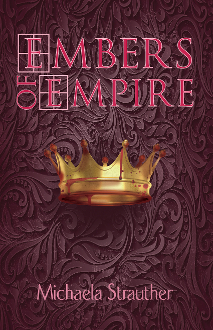 Sathryn finds herself thrust into weeks of traveling, training, and plotting, and at the end of it all, she and Julian must storm Kings’ Castle to find her father and destroy the crippling dictatorship once and for all.